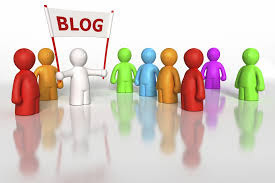 As I have been writing earlier about online money making methods and the different levels of approach towards different ways individually, blogging is something that is most questioned about. The reason is comprehensively predictable as blogging stands out to be the most famous channel among the list of making money online. 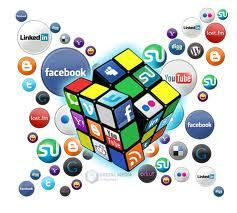 The questions are mostly generated in the minds of the young writers who want to pursue their career in blogging. They are eager to get acquainted with the ways of starting their life as a blogger but are not sure of how to set a beginning that will road towards enormous success. Remember that building a blog is very easy, but maintaining and taking it to such a level where it turns into an asset requires a lot of patience and production of quality of content on topics that viewers want to read. Blogging is not about writing about topics that you like, instead its all about producing articles that matches the demand of the readers and something that they would want to follow. So for all the fresh bloggers out there who have just stepped into blogging recently and want to setup a new blog, here are some tips on choosing the topic which should work like a magic on enhancing your blog's productivity. Social Media, Facebook and Twitter in particular always stay in the limelight. These are enjoying most of the internet traffic at this time. One thing about these social medias that never seem to end is the rapidly coming updates and addition of new features. Sometimes they are evident to the normal users but not always. You can take this into consideration and write about these updates and new coming features to notify people about it. This will generate quite a lot of traffic for your blog. In situation where you are unable to find a topic to produce an article on, you can utilize the latest news about whatever is happening around the world. Just pick up something that seems interesting and the readers might want to read. Go for it and write a post immediately. Start following the websites like Cnet as a source and crack the breaking news on your blogs to keep your blog a head in satisfying reader thirsts. 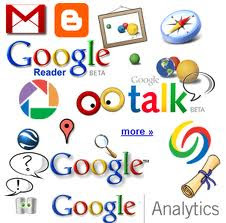 Keep in mind that you have the mother of all search engines, the Google always with you, which is always coming up with something new every second. You can follow Google and you will find various topics to write on, specifically the latest Google Products that ever fail to amaze the readers. This increase the chances Google redirects a great number of readers to your blog. Here is something that can not disappoint you whenever looking for content to write upon. 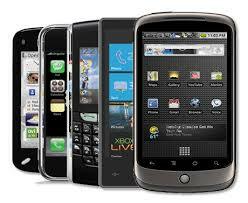 Android has taken over the smartphone market as we all know. Numerous people are switching to Android phones and would love to know more about the new Android gadgets that are being released in the market. Just keep an eye on such things and you can create quality content on the subject which will not fail to redirect heavy traffic to your blog. It is inevitable that there are countless people who use Windows Operating System and writing on Windows updates will surely bring a lot of Windows users to your blog. Keep searching about all kinds of updates on latest version of the Windows and keep notifying people though your blog article. It is important to consider your blog as a business after that you have decided to pursue blogging as your part time or full time career. All the readers out there are an asset to you. You should grab maximum readers attention by looking into the trends of what International readers look and search for. The more you get readers on your blog website, the more you will generate revenues out of this business.